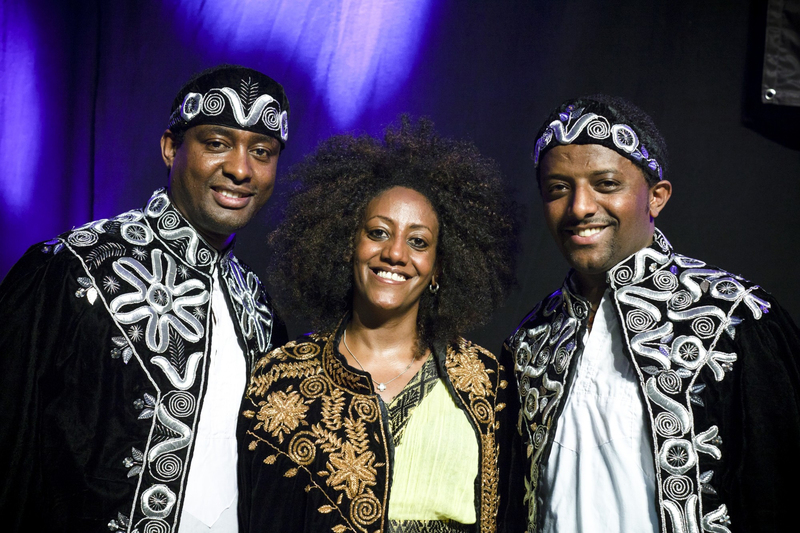 Krar Collective is a trio of Ethiopian musicians living in London who have developed an original take on merging their traditional music with modern sounds. Named after the principal instrument in the group, the krar, the band’s sound centers on this traditional six-string lyre being electrified and accompanied by percussion and vocals. The tuneful and rhythmically driving songs should come as no surprise, as band leader Temesgen Zeleke was mentored by Ethiopian music legend Mulatu Astatke.